A professional wedding organizer is a big and busy career. The industry is at its busiest during the months of June since a lot of brides to be want to get married during that month. This is not an easy profession. Being a wedding planner means you will be responsible in the success of a wedding—from the design to the management on the wedding day itself. You need to build a good reputation if you want to gain clients, and one way you can get it started is by giving out business cards. Distributing business cards to prospective clients leaves them with a good first impression. The better your business card looks, the more they will build their trust in you. 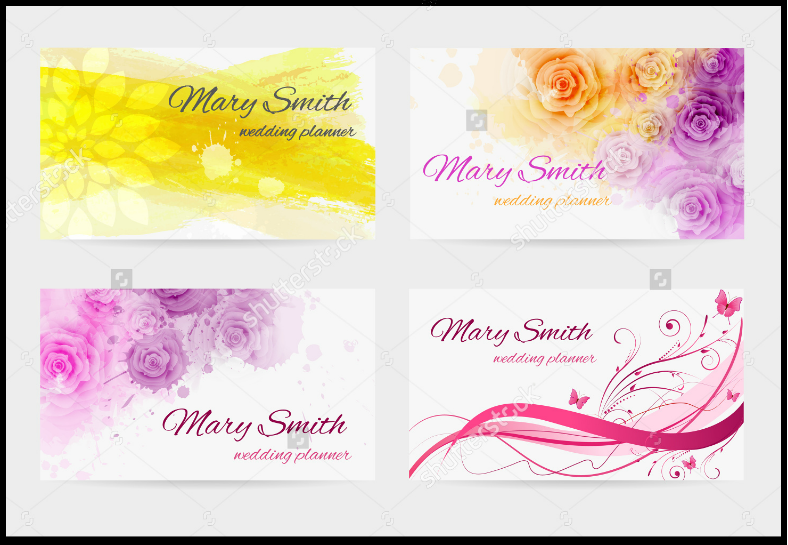 Here, we have a collection of wedding planner business cards that are downloadable and fully editable for your convenience. If this is what you are looking for, then feel free to scroll down. We guarantee you won’t need to look anywhere else for business card designs. 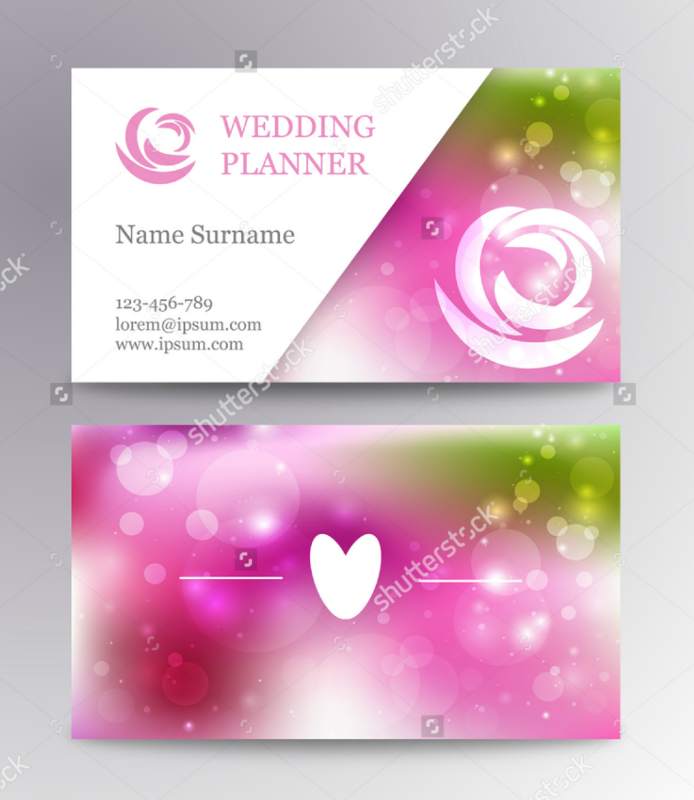 The business card design above bears an image of a newly-wedded couple on a solid background. The blank space is enough to make the name of the organizer and the image of the couple stand out. 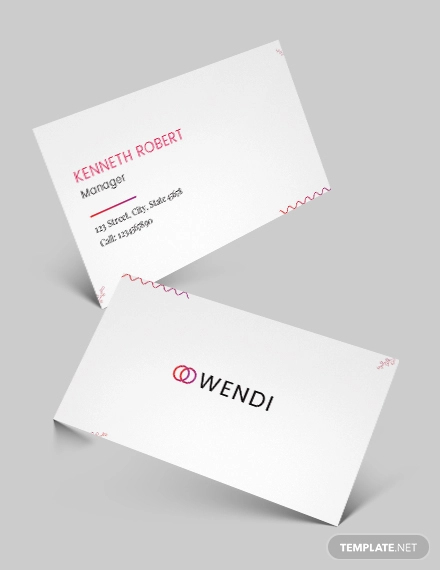 Another thing that makes this design unique is the fact that it is in a vertical orientation, while most business card mockups are in a horizontal orientation. There is also the presence of a QR code. 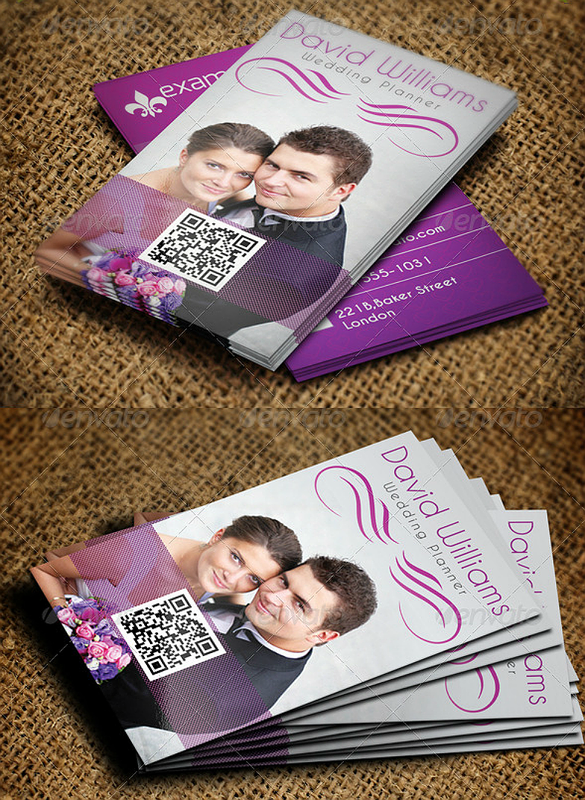 Once scanned, the code will lead them to the wedding planner’s website or social media portfolio. 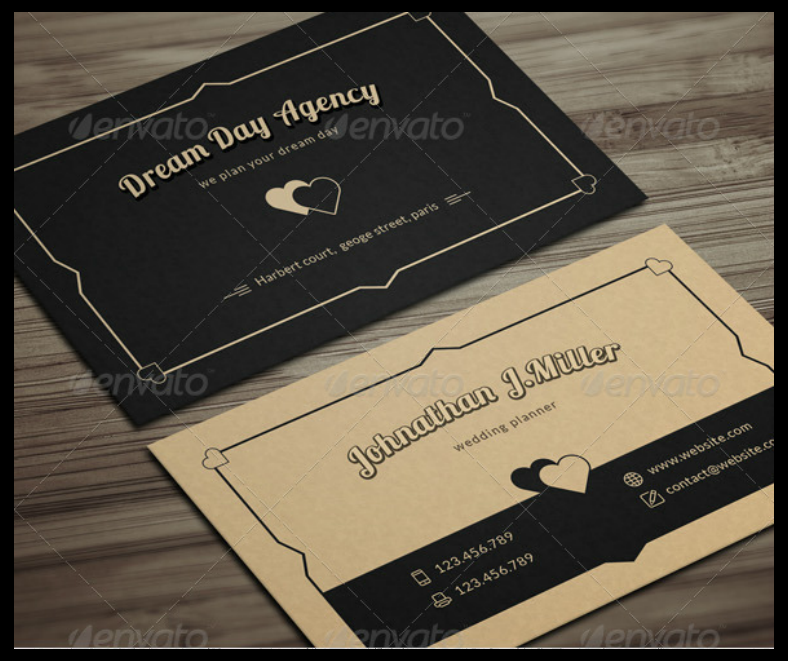 Choose this vintage business card mockup if you prefer a straightforward and less-complicated design. Because of its simplicity, the reader will focus more on the necessary details, such as the name of the wedding organizer, their contact information that includes their phone numbers, their website, and their email address. If you think that graphic images may tend to mislead readers’ attention and you want your business card to lean more toward the text, then this is the right one for you. 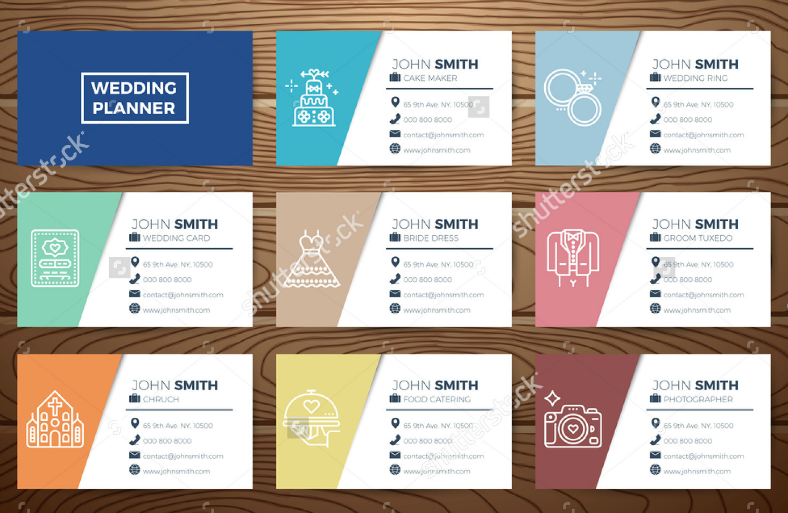 Go with this set of business card designs and for the price of one, you are getting not only two or three, but a total of four designs with different background designs. The backgrounds range from a yellow lotus flower to roses done in a splatter effect, to an ornate design with butterflies. Download this set if you don’t like giving out the same business card design each time. Exchanging business card is the most formal method of sharing information between businessmen and other professionals. As mentioned earlier, the better your business card looks, the higher the chance that your prospect may become an actual client. 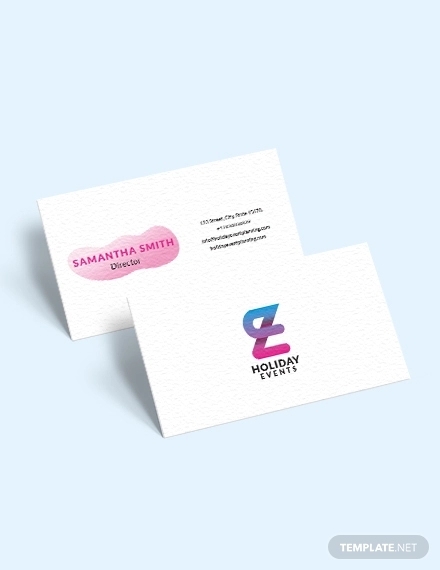 Business cards create an initial impression from clients. The act of sharing contact information through business cards creates a good impression about you and your business. 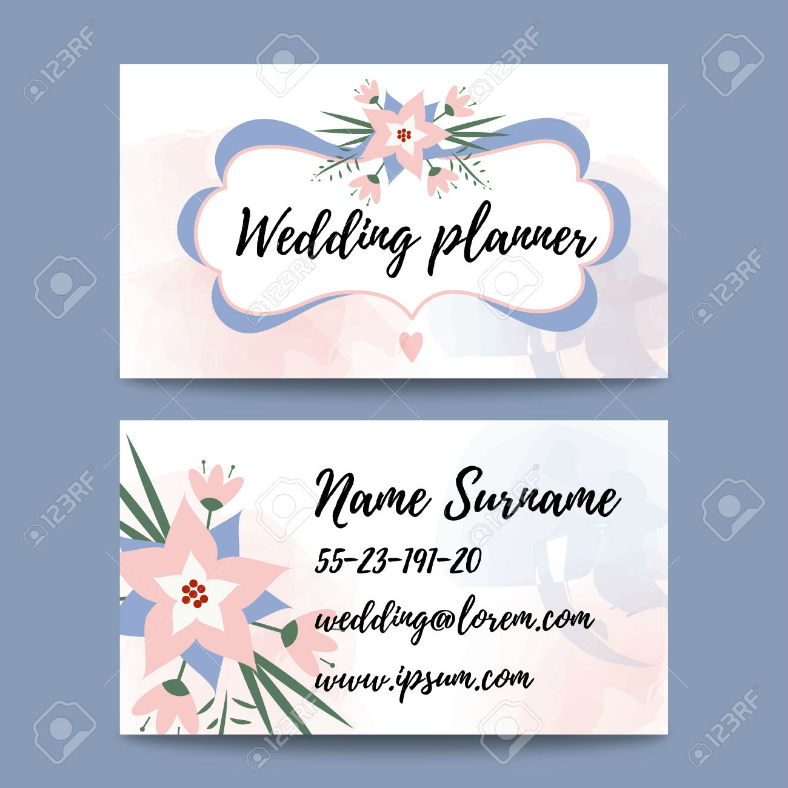 Business cards provide prospects with an image of your business as one that is stable and fully prepared to serve clients in organizing wedding events. For a simple and elegant-looking business card design, this one is a good choice. The front side is where you can find the wedding planner’s name, website, and contact information, as well as the flower logo. On the back, you can also see the flower logo over a gradient background design with lens flare effects to add to level of appeal. 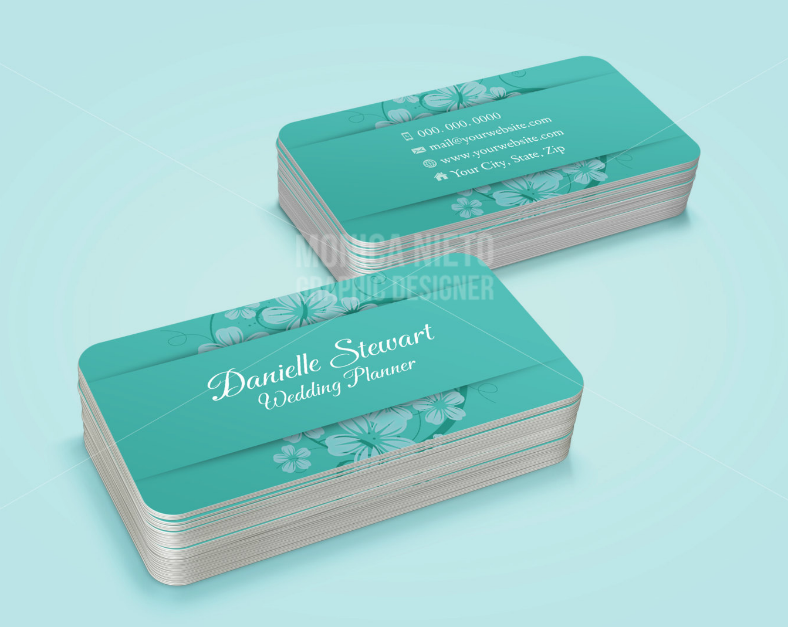 Aside from wedding planners, this business card design is also ideal for florists. Planning a wedding involves a lot of aspects, and you need to have connections in each aspect to work effectively. These areas include florists, masters of ceremonies, food caterers, and sound or music providers, just to name a few. If you have these connections, then you will be able to suggest them to your clients, unless they have already provided their own. This makes your work much less of a burden. You won’t need to worry about anything if you choose to download a business card design from our website. These were carefully selected among the most innovative designs from reliable sources, and these were digitally crafted by creative graphic artists. Editing these can be done very easily since these files are in vector format. You can simply add and remove elements with ease. 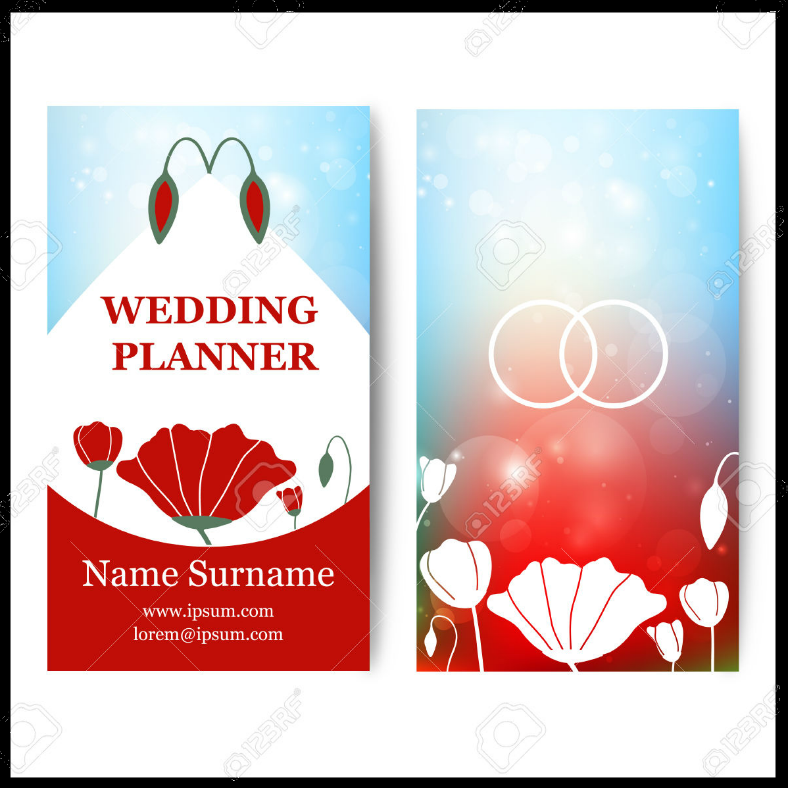 So go ahead, download a design now and make your own wedding planner business card.